Why it’s important to take proper care of your furry pal’s teeth? It is essential because if left untreated, plaque and tartar buildup can progress to painful periodontal disease. The bacteria from periodontal disease can spread to other organs and cause illnesses in your pet. 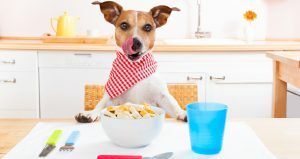 If you don’t want your pooch or kitty to get into such sort of problem, follow the tips below to help your pet’s teeth and gums remain healthy. If any musky scent is coming from your dog or cat’s mouth, don’t ignore it. This may be a sign that your pet has got periodontal disease or any another oral disease such as stomatitis, it is a common feline condition that causes painful inflammation of the gums and mouth tissues. The symptoms for oral dental health are yellow or brown teeth, pawing at the mouth, bleeding gums, and loose or missing teeth. It is important to brush your pet’s teeth on regular basis. You can train your dog or cat by rewarding them yummy treats, to turn tooth brushing into a bonding experience with your furry companion. You need to purchase the toothpaste and brush that is specially made for your pet. Don’t use toothpaste that is made for humans. There are even flavored toothpaste available for your pet, this can help to encourage to brush their teeth. Brushing is not enough, you can give your furry pal the treat, chews, and foods, which is specially designed to promote oral health. The chews will help to remove the tartar and plaque from the teeth and the treat and foods will help your dog or cat to maintain healthy gums and teeth. Make sure you choose the product that meets the standards for efficient plaque and tartar control. Take your four-legged friend to the vet for a dental checkup on regular intervals. Tell the vet if you have noticed any dental health warning signs such as bad breath, bleeding gums, cracked teeth, tooth loss, plaque, and tartar. 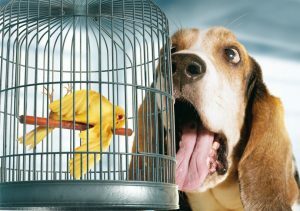 So that the vet thoroughly examines your pet’s teeth and gums. 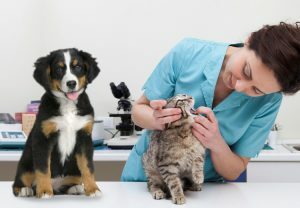 He may advise you to brush your canine and felines teeth on regular basis and feed good quality food to keep your pet healthy and free from the oral diseases. Hope you have understood the importance of proper dental care of your pet’s. Don’t forget to follow the tips, which are stated above to help your pet’s teeth and gums remain healthy.